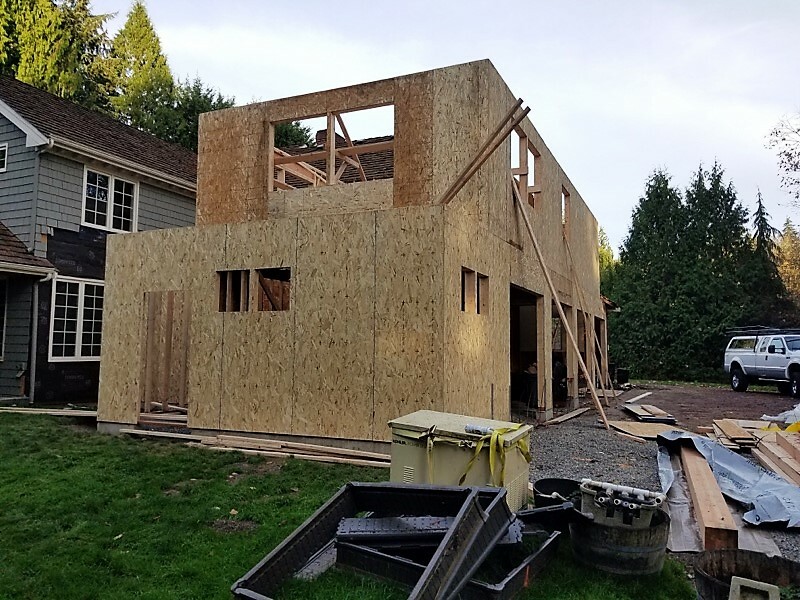 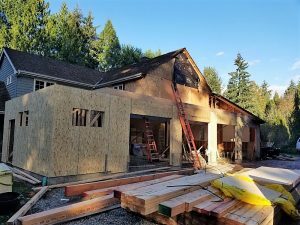 Clients of a large two-story home addition in Woodinville wanted to create a more spacious garage, with a living space above. This fun project had one large obstacle, the existing 3 car garage, where the addition attached, had several posts as structural support leading to car door dings and limiting the overall usefulness of the space. 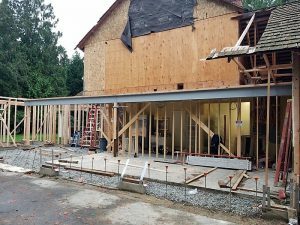 In order to open up the design as intended, two 25 foot beams were required, weighing 1,000 lbs each. 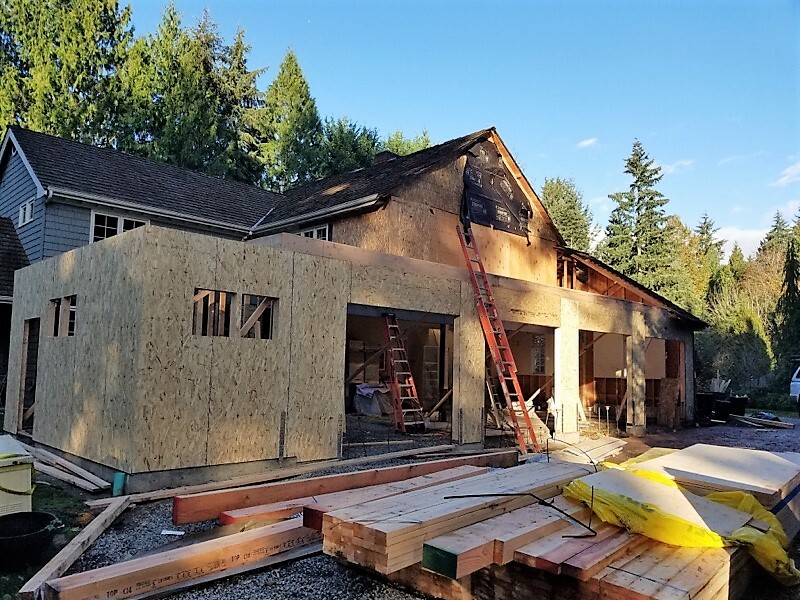 An intense pre-planning process was required, so that we could open up the drywall and search for the existing joists to ensure we ordered a sufficient support beam. Beyond the weight challenges, access to the intended location was limited, so a forklift can only bring the beams in so far, and then the rest needed to be managed by extending the forks. 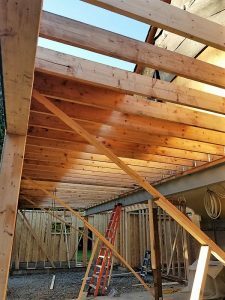 From there, we relied on man-power to move the massive beams incrementally for fine adjustments into the tight space. 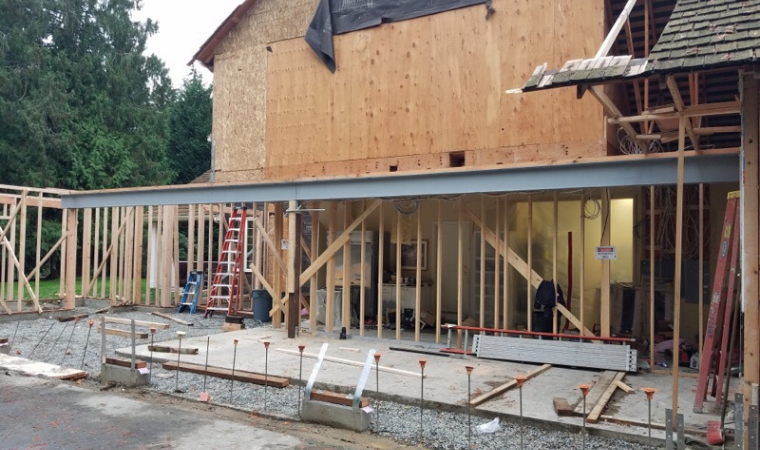 From delivery to placement, the process to set these mammoth beams took 10 hours! While there are still many pieces of this project left to construct, placing these colossal beams were literally and figuratively this projects backbone. 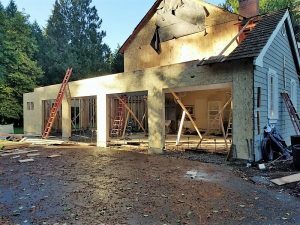 See more photos of the in-progress addition here.